Offering authentic, from-the-source recipes for virtually every type of dish (from tapas and cocktails to salads, dumplings, one pot meals, and more), essential techniques, and practical advice, this thorough collection of recipes from the pages of SAVEUR represents a comprehensive foundation for any home cook looking for a go-to guide—and daily inspiration—from a trusted source. Also includes suggested menus for holidays and occasions; illustrative sidebars that showcase groups of ingredients (such as the Mexican pantry, different varieties of tomatoes, what makes a good tagine) or provide easy-to-follow instructions for techniques (like how to crimp a dumpling or fold an empanada); and two sections of gorgeous full-color photographs that bring the cuisine to life. The 16 chapters are organized by course and food type. A robust selection of pantry basics (DIY condiments, stocks and sauces, spice blends and rubs, and more) is also included. 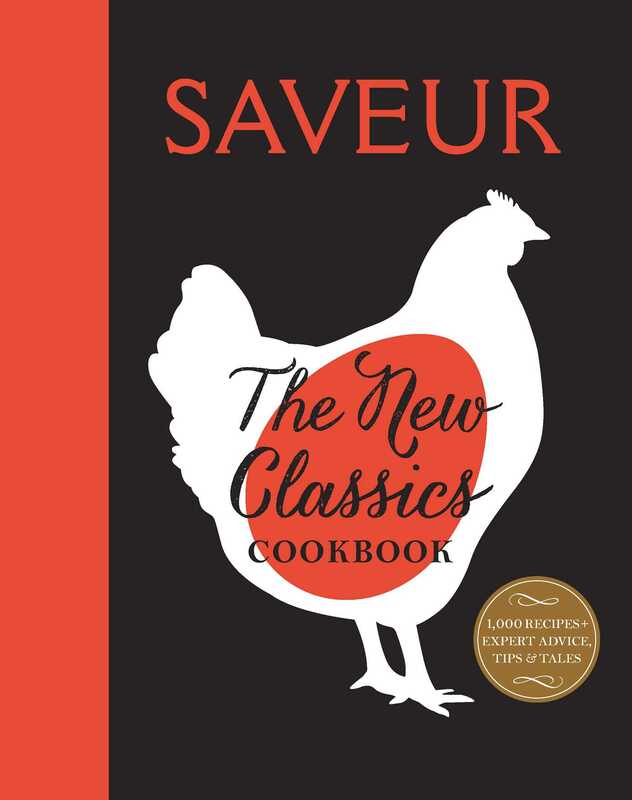 Each recipe includes a headnote (explaining the origin of the dish, offering suggestions for perfecting the method, or a serving suggestion) and there are illustrations and cook’s notes, imparting helpful tips (wear gloves when working with hot chiles, using young ginger for the best flavor) scattered throughout the book. Icons call out vegetarian dishes and other helpful information at a glance. Multiple indexes make it easy to find recipes for any occasion. These feather light, tender pastry puffs are flavored with Gruyère cheese and baked until golden brown. They’re best eaten right out of the oven, when the warm cheese is at its most aromatic. 1 Heat oven to 425°. Bring milk, butter, salt, and ⁄2 cup water to a boil in a 4-qt. saucepan over high heat. Add flour and stir until dough forms. Reduce heat to medium and cook, stirring dough constantly with a wooden spoon, until slightly dried, about 2 minutes. Transfer to a bowl. Using a hand mixer, beat in one egg until smooth. Repeat with remaining eggs, beating them in one at a time, until dough is smooth. Stir in cheese. 2 Using a large tablespoon, drop balls of dough onto parchment paper–lined baking sheets. Reduce oven temperature to 375° and bake until golden brown, about 30 minutes.